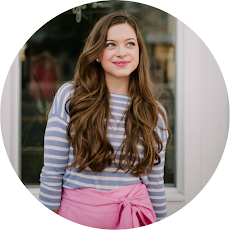 Are you headed off to college soon? Are you unsure of what to pack for college?? If I could guess, I bet you've typed on google numerous times: college packing lists. I remember right about this time last year I started making list after list of items that I needed to pack for college. I am someone who loves to make lists, but when it comes to packing, sometimes I just throw everything together and then look around the room after to make sure I'm not forgetting anything. 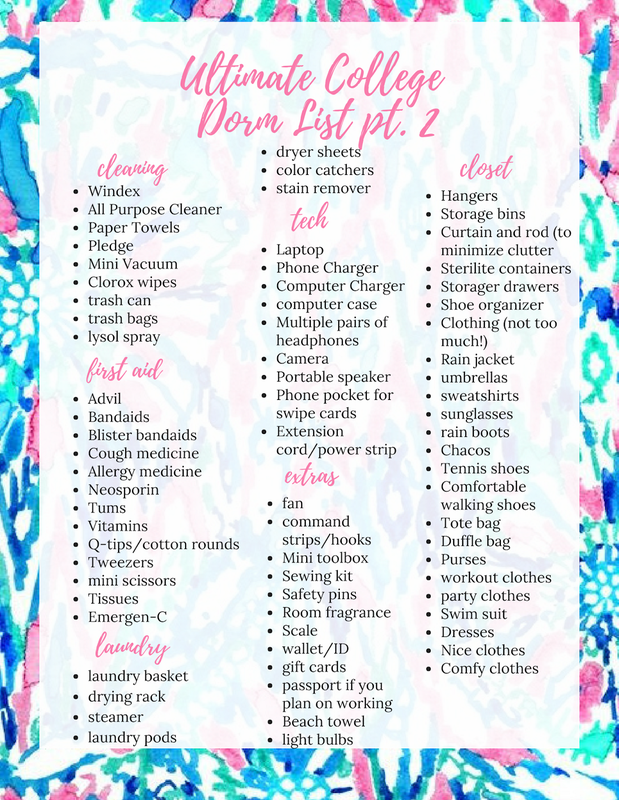 While that is definitely a method some people use for college (as in my brother), consider writing down items that you definitely need to bring or things you think you'll forget. 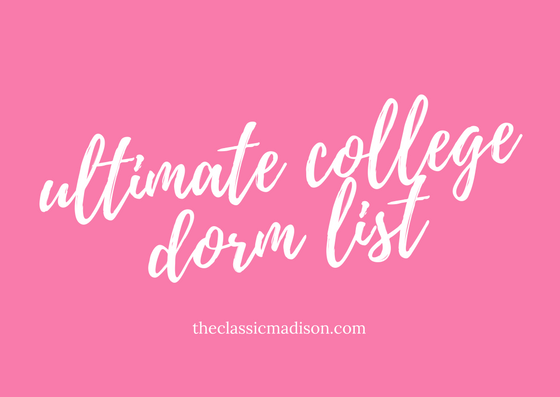 This is where my list comes in- it includes items you might not have thought about, as well as general items that just about everyone will need for their room. 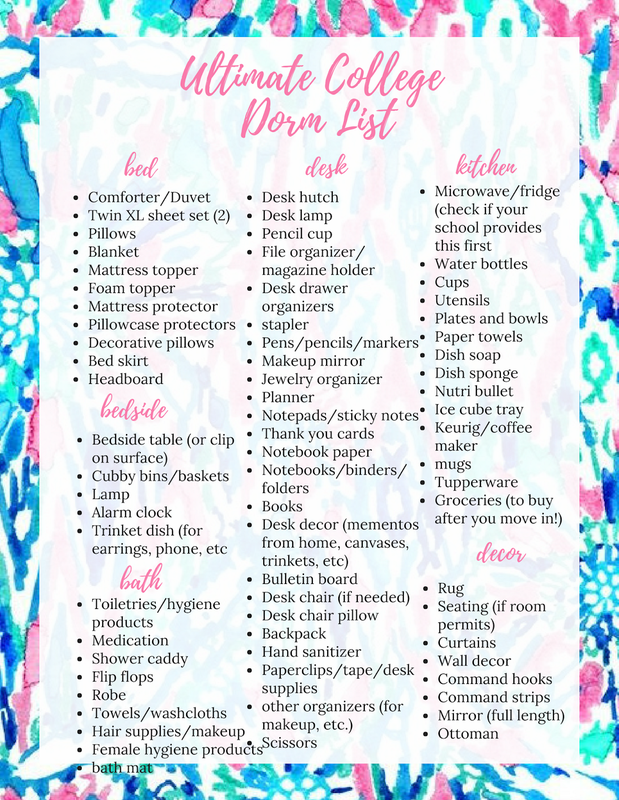 That way, you can print off the list and check things off as you pack them! You can save this list to your phone when you are shopping, or print it off to help you check off everything as you pack! 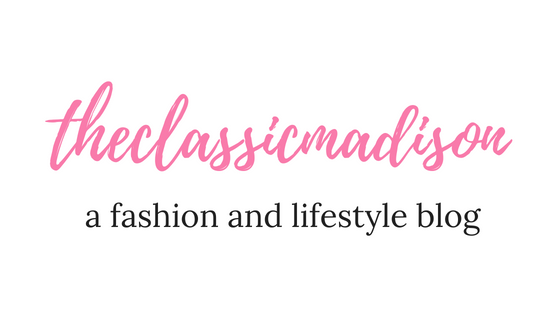 Disclaimer: I did not list every single thing (such as each toiletry, clothing item, decor piece, etc.) on the lists featured in this post. The list that is downloadable at the bottom of this post will go more in-depth, so please check that one out as well. However, I know there are probably things I'm forgetting. The list would go on forever if I did that! If you have a question about something you are wondering if you should bring, comment down below or email me! We can chat about any questions you have! And just a reminder- it's ok if you forget something to college! You can always head to a store nearby, order on Amazon, check at your school's bookstore, or ask someone from home to send it to you. It's not the end of the world, so try not to stress about packing! Need more help in preparing for freshman year?? Check out these posts next. 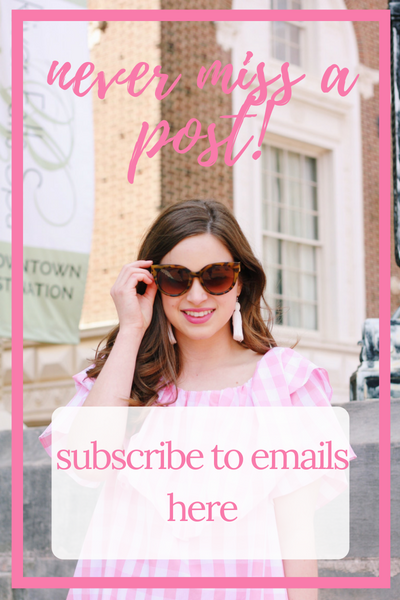 Have y'all signed up for my email list? I will give you even more college tips and updates every Friday with my #classicmail emails. You can find the subscribe button on the sidebar in desktop browsers and at the bottom of the homepage on mobile browsers. Thanks for reading, and I hope this helps those of you who are moving to college soon! Fantastic! I trust it that the reality you wrote in this article, I tail him. This is an imperative thing that the deal individual is useful for that reason and he knows everything about the offer and purchases a property and join our custom paper writing service reviews to get best task. I trust your execution like the peruser. my everything all the best are with you.